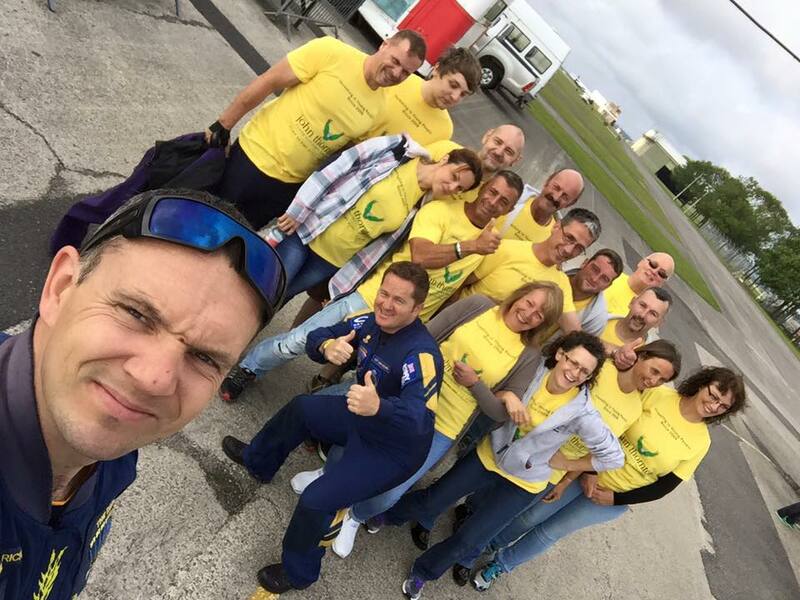 Fourteen fearless participants took part in a ‘Jump with the Tigers’ early on Sunday morning 2nd August, at Airfield Camp Netheravon, raising more than £6,000 for the John Thornton Young Achievers Foundation (JTYAF). The JTYAF has a special link with the Tigers Freefall Parachute Display Team and the charity was privileged to be able to offer their supporters the opportunity to jump out of a perfectly serviceable aircraft at 13,000 feet safely attached to their highly experienced military instructors. Local celebrity ‘Stig’ (Chris Morson) was one of the first to take to the skies and he was followed by Arwel Jones, Mark McManus, Tasha Kenny, Hilary Khankashi, Alan Wherley, Jim Hall, Jo Collins, Jackie Doran, Honor Heath, Lewis Wilson, Vasco De Oliveira and Paul and Jake Waters. The JTYAF is extremely grateful to the ‘Tigers’ for making the whole day such a fantastic experience for their supporters. The Tandem Skydivers themselves were however the stars of the show and displayed huge amounts of courage, determination, unselfishness and cheerfulness in adversity, the very values that the JTYAF is founded on. A huge thank you must go to them all, not only for their fantastic achievement but also the incredible amount of sponsorship raised, which will make a huge difference to the lives of local young people. Money is still coming in and all participants are still accepting donations. If you would like to donate please visit the Just Giving pages below. If you would like to receive details for next year’s event please contact Pete on 07792 121 645.